For persons required to manage persons who work at height. Provides education and practical training in the management of personnel and site areas when working at height is required. heightec’s Managing Work at Height for Construction course includes the Awareness of Work at Height syllabus, then goes on to cover pre-use checking, Inspection requirements and selection of the most suitable equipment for the proposed task. 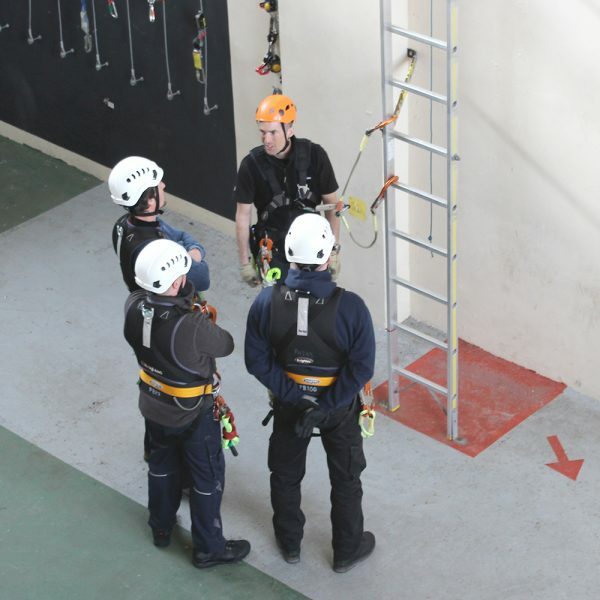 The importance of proper selection, fitting and use of equipment is covered, together with an explanation of suspension intolerance and the importance of rescue. Practical demonstrations of each working method is given, in realistic situations of use. A self-certified statement of reasonable fitness will be requested prior to attendance.